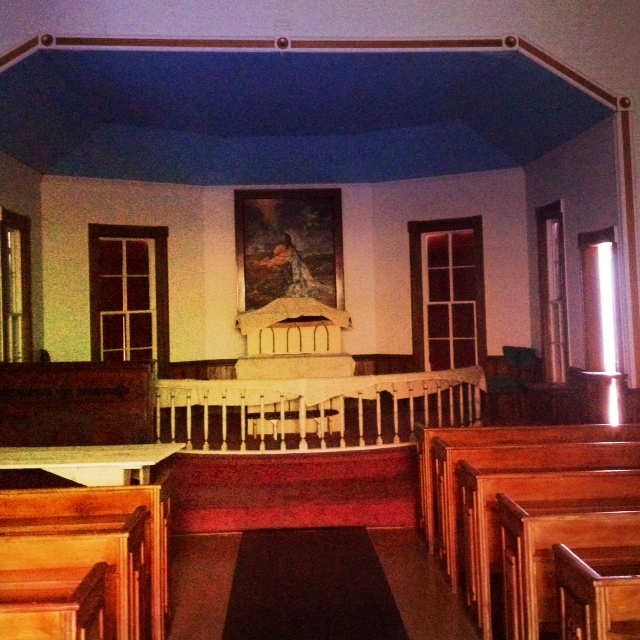 I have an affection for country churches and I’ve been trying to figure out how to channel this into something that can be shared with any who might be interested as I am. 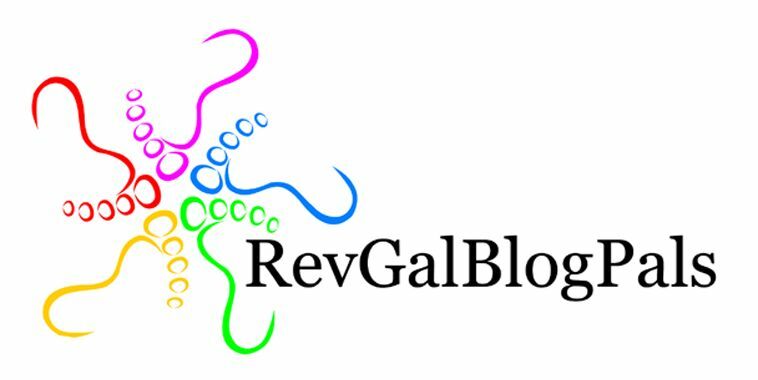 Perhaps it will turn into a separate blog but for now I’m going to share some of my country church adventures here. Since moving back to Minnesota nearly two weeks ago I have come across a TON of Lutheran country churches – because there are just SO MANY here. I always knew that but had kind of forgotten after being away and serving churches in other states for the last 16 years. Upsala was not the first country church I went to find – but it is my favorite so far because it is so tucked away that one would not ever know it is there if you just stayed on the paved roads. 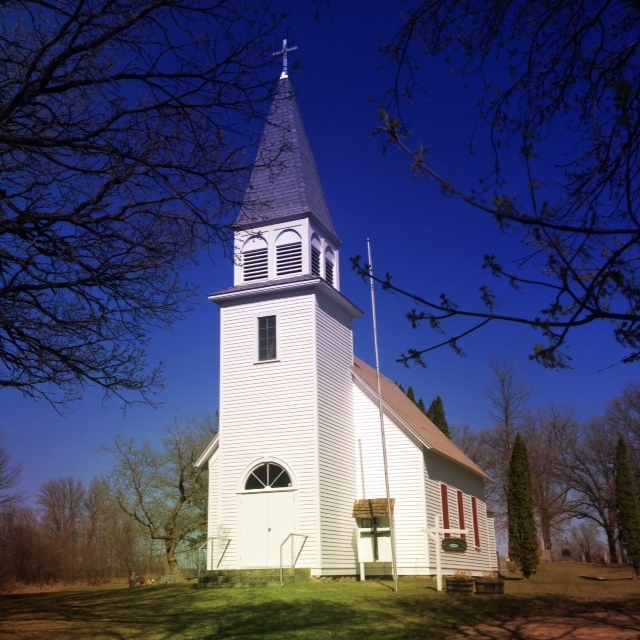 It is north of Detroit Lakes on highway 59 about 7 miles, then turn right on 240th avenue until you come to “Upsala Church Road” and turn left. As you wind your way on the gravel road that cuts through the grassy hills, eventually up ahead you will see the steeple of Upsala peeking out above a grove of trees. The church itself has a long driveway shaded by oaks – as I drove in I decided I would have to come back in the fall and take more pictures when the leaves are at their best. Upsala was established in 1871 which makes it older than most of the other churches in this area. It may even be the oldest but I need to do more research to determine whether or not this is true. I walked around the beautiful cemetery and took many photographs, and of course, I had to check to see if the door to the church was open and fully expected it to be locked as every country church in Minnesota usually seems to be. The front door was locked – but a back door was open!! I was full of glee to be able to actually see the inside of this structure which has not been used for weekly worship since 1964!! The altar rail and pulpit were very typical of the Scandinavian style from the late 1800’s. There was an interesting article hanging on the wall about how the church had been used for Midsummer Night celebrations even after its’ closing and that there was a small group of people who were committed to caring for the building and keeping it nice. I wonder who those people are now and where the church records are kept. The article also said that the church closed because the area was simply “overchurched” at the time. This is not hard to believe since one can practically see Richwood Lutheran (ELCA) from there if there weren’t hills and trees in the way and I believe Lund Lutheran (LCMC) is close, too. The setting of this church is quite simply one of the loveliest places I have seen. Unfortunately, a home has been built quite close to the church so if you look in that direction the illusion of stepping back in time is spoiled, but nevertheless, when one is in that church yard you can practically picture the early settlers arriving at worship in their wagons, the pioneers coming early to put wood in the stove to warm the church before service, or the preacher coming in on horseback. I’m so glad this beautiful building has not been torn down so that we can still have a glimpse of what these original churches on the prairie really looked like. It’s been a whirlwind these last few weeks. Just two weeks ago I preached my last sermon at my lovely Norwegian country church in Texas, said a hundred difficult “goodbyes” and then feverishly packed and cleaned and then turned in the keys to our life there. We loaded up all our stuff into two moving vans and started driving north on a sunny Thursday. Our younger son, Jesse, rode in the moving van with me and our older son, Owen, rode with my husband. It was a long trip, made longer because of the fact that we couldn’t drive very fast as we towed our cars behind each van. Every now and then Jesse would think about his friends he was leaving behind and he would get teary-eyed. These kinds of changes are hard enough for grown-ups who have experienced big changes before and know that we can survive them. For little kids it has to feel like everything is turning upside down. We stopped along the way pretty often and now and then I bought him a little toy to help him pass the time. His only melt-down came after about ten hours of being in the van on our second day when I got him the “happy meal” he had been wanting for the whole trip and he found out that instead of the little transformer toy he had wanted, they had given him a pink My Little Pony. If you want to see a normally good-natured seven year-old slip into godzilla mode, apparently that is a good way to do it. We arrived late on Friday night and didn’t do much except unload the necessities and slip into bed. The boys didn’t want to be away from us in their new surroundings so in our new parsonage with five bedrooms, we all slept in one room. The next day we got up and some from the church and my brother and sister-in-law and nephews came over to help unload. My church here in Minnesota is also a little Norwegian church in the country. It is a pretty white, wooden church that has been rebuilt once after a tornado destroyed the original structure in 1925. Today we are having a big rummage sale and a fish dinner which apparently brings in many from the community. I’m glad to be here, glad to be near my family again, glad to experience the traditions of a new church and to share the Good News of Jesus in this place. But I’ll tell you what few pastors are likely to admit – that the ghosts of one’s former congregation and of one’s life in their midst stay very near for a long time. I think tenderly of them and I knew long before God called me back to Minnesota that my heart would linger back in Texas for a good while. I know this is normal. One does not love a congregation with her whole heart and then just shut off those affections overnight. I don’t understand the ways that God’s call to something else can become so strong even at the same time that one’s heart breaks to leave what once was – but I know that I trust the One who calls. And so tomorrow I’ll step into the pulpit here for the first time and I’ll preach the same Gospel that God has let me preach in New York and Colorado and Texas and now here. I’ll slowly fall in love with this place and these people just as surely as I have loved my other congregations. I’ll do my best, and while that is never enough – with God’s presence in it, it seems to somehow become enough. But my other truth is this – that there is a piece of my heart that still is resting among the bluebonnets and abiding in the warm breeze in Texas, laughing and crying with my dear ones there. God be with you until we meet again. In many ways, this is the darkest night of the church year. One could argue that Good Friday is darker and more solemn as it closes with Christ in the tomb, all hope lost – and yet, I would argue that it is this evening, Maundy Thursday, when the darkness presses in most deeply – it is nearly suffocating when we pause to consider it long enough. It is this quiet evening we remember Jesus, vulnerable and sharing a final meal with his disciples. Here he is, experiencing final words and moments with those who were the closest to him. Here he is, knowing that the end was coming, and that these events that would lead to his death were set in motion by someone from his inner circle. While on Good Friday we can imagine the crowd of strangers noisily shouting, “Crucify him,” – somehow the shouts of an angry mob are easier to understand than the betrayal of a friend, a loved one. I sometimes think that while the beating and torture he endured on Friday was horrible, the cruelest blow was that of the kiss of his friend, Judas. Have you ever betrayed someone you love? Whether on purpose or by accident – have you caused harm to another? If you have, you know that there are the stories we don’t like to tell. These are memories that haunt and the stories that we try to shove deep inside and put on a smile and pretend they don’t exist. Try to drown them with drink or soften their edges with pills- yet, they remain. Their truth cannot be dimmed. The stories of our deepest failings feel like they need to be shut up tight and never spoken out loud – and yet, I have found in my own life that there is a certain healing that is possible only with admission and confession. I’ve spoken many times to you over the years about my mom. Many of you met her during the brief time she lived here before she died. You know she went through a time of major depression and that was why she came from Minnesota to live with us. Her depression had gotten so overpowering that she would no longer make the effort to eat or take her medicine or do anything without someone to make sure she did so. When mom came to live with us, I was so glad to try to do whatever I could for her. The ways that she had lovingly cared for us as kids and then took care of my dad when he got older, I wanted to extend that same kind of care to her when she needed it. We moved her into a room in our house, we loved having her with us even though she really wasn’t anything like herself anymore. Her anxiety and depression were so deep that days with us were spent mostly sitting by the kitchen table, not speaking. I would make her breakfast and go to work and then come home and make her lunch and then go back to work and then make her supper and three days a week I took her to a support group for seniors who were going through severe depression. At the same time, the boys were in preschool and my final project for my doctorate was reaching its’ deadline. I took her to doctor’s appointments and checked her blood sugar twice a day. She had diabetes and liver troubles and a heart condition that required that she get the thickness of her blood checked monthly so she wouldn’t get clots. These were all things that she had tended to doing diligently before this but now that she couldn’t, I was determined to tend to all of it for her. And after a while, it felt like we were finding our way. It was a strange new normal that we had as a family, but as I said, I was so glad to have her with me and that my boys could get to know her – even though her newfound anxiety and nerves made it hard for her to tolerate the loudness and chaos of a house with little boys. It seemed like the support group was helping mom and now and then I saw glimpses of the mom I grew up with. I was getting my work done and getting my dissertation done and getting the boys and mom where they needed to be. It was a blur of days and I wasn’t sleeping much, but it felt like everything was going to be okay. But then one afternoon I noticed mom was shaky and she went to lie down in her room. I went in to check her blood sugar and I saw she had thrown up and was disoriented and couldn’t speak. We called the ambulance and she went to the ER in Waco. In the emergency room, the doctor was asking me many questions – about her medications, about when was the last time she had her blood checked. You see, mom had just had a stroke because a clot had developed in her heart. A perfectly round clot the size of a walnut. And the clot was there because her blood had gotten too thick. And her blood had gotten too thick because her medication dosage was apparently not right anymore. And her medication dosage was not right because, as I ticked back through the days and weeks in my mind, I realized it had been well over six weeks since we had gotten it checked, instead of one month as it was supposed to be. Because of that clot, mom had to have surgery to get it removed, a surgery from which she never recovered, and died a few months later. I often used to joke about my forgetfulness, how I have to write everything down in order to remember both small and big things. I figured if being forgetful was my worst flaw, then it wasn’t so bad. But in all my juggling of life and family and work and school, I had forgotten an astronomically important thing – to make sure she got her blood checked – and the consequences were catastrophic. I’ll bear the grief and guilt and sadness about this until the day I die – because even though I would never, ever willingly have betrayed or harmed my mom, I did. She had needed me to watch out for her, and I blew it. Utterly and fully blew it. There are no words to express the remorse I feel about this. It’s a confession, that’s what it is. God and I have talked about it an awful lot over the years. As I proclaim the forgiveness of sins each week, I try to remind myself that forgiveness extends to me, too, and hopefully one of these days I will believe it. I share this story with you not just out of my need to speak it out loud, but to hold up the truth that we so deeply need what this night is about. We come together as a big group of imperfect people, people who have histories and secrets, failures and longings, regrets and sins. We may do a great job of hiding all these things so that no one would guess how broken we are inside, but we know. And God knows. And in this meal we share tonight we remember that even so, we are loved. We are treasured. It was because of our brokenness that Jesus sacrificed all for us. He knew exactly what he was doing. And even though nothing can erase our brokenness, or fix all our mistakes, that God is able to always, somehow, still use us for good. It seems too good to be true. Judas couldn’t imagine it. He was so overwhelmed by what he had done that the scripture says first he went and tried to give back the thirty pieces of silver he had gotten for betraying Jesus and then immediately went and hanged himself. He couldn’t bear the thought of what he had done. It’s human beings who feel such a greedy need to hoard guilt and shame – it’s not God. Judas couldn’t forgive himself, but Jesus could. He did. On this Holy Thursday we remember how Jesus the Christ knelt and washed the feet of his disciples, even Judas. He begged them to love one another, even as his heart grieved knowing how they would fail. He loved them through his tears, even Judas. His forgiveness so great that the cross would not extinguish it. His forgiveness so great that it was for everyone for all time, even Judas. Even you. Even me. May God grant us grace to believe in this truth, in this Jesus, now and always. In Jesus’ name we pray. Amen.